Please complete the following fields to receive bids for Volvo parts! To receive quotes for used Volvo engines via text, email or phone, simply fill out the form above. Within minutes, ASAP Motors will connect you with our network of reputable auto parts brokers. Founded in 1927, Volvo is a Swedish luxury car manufacturer known for its vehicles’ superior safety, exceptional engineering and stylish design. Although all Volvo engines produced from 2019 will be either electric or hybrid, all previous Volvo engines are internal combustion engines of various sizes and configurations. Volvo’s engines include inline-four (I4), straight-six, straight-five and V8 engines, among others. When many people realize that their engine has failed, but the rest of their car is okay, they want to replace the bad motor. The first stop for many people is the local dealer. Most local dealers are only selling new engines or new cars. If you have a blown engine, the local Volvo dealer is going to try get you into buying a new one engine or a new car. Replacing an engine with a brand new one is very costly. Not only will the actual motor cost more than the car is worth in most cases, but the labor required to put it in will be astronomical as well. Luckily though, used Volvo engines can be bought for very cost effective prices and then installed by a local shop. 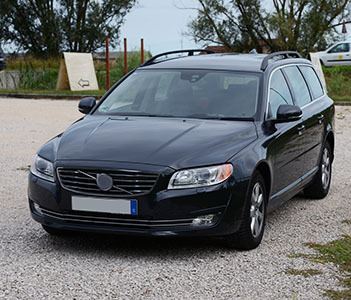 Volvo motors are easy to locate using our free service at ASAP Motors. We have companies that offer used Volvo engines for sale and even shipping nationwide. Many of our dealers are likely to have a clean and serviced, used Volvo motor that are ready to go with warranty. If you do not like any of the offers, there is absolutely no obligation to reply to the supplier! Whether you’re looking for a 200 Series engine from the 1970s or an XC90 engine from the 2000s, ASAP Motors can help you find exactly what you’re looking for. Throughout their approximate century of existence, Volvo vehicles have built a universal reputation for unparalleled safety. Over the years, Volvo has pioneered a number of safety measures, including side airbags, child safety cushions and the three-point safety belt. In 1993, Volvo introduced inline-five (I5) engines to its lineup, and has been known for that type of engine ever since. However, they also offer a variety of other engines, from V8 engines to modular straight-six engines for the Volvo lineup of vehicles. Q: How much do used Volvo engines cost? A: The price of your used Volvo engine will depend on its year and model. In general, though, used Volvo engines tend to cost between $300 and $2,000. Q: Who makes Volvo engines? A: Volvo was owned by American manufacturer Ford from 1999 to 2010. As a result, many Ford engines were included in Volvo vehicles and vice versa. Since 2010, however, Volvo has been owned by Chinese manufacturer Geely, and has gradually phased Ford engines out of its lineup, replacing them with in-house Volvo engines. Q: Are Volvo engines reliable? A: According to data aggregated by the warranty company Warranty Direct, Volvo engines’ reliability is well above average. Produced from 1991 to 1996, the Volvo 850 is a compact executive car that introduced a slew of innovative features, including self-adjusting seatbelts and Volvo’s famous side impact protection system. It was available with transverse I5 gasoline or diesel engines. The Volvo S80 was released for the 1999 model year and continued to be produced until 2016. This executive car featured a sleek design and superior safety ratings. The first generation of S80s used I5 and straight-six engines, while the second generation was available with an I4, I5, I6, or V8 engine. The Volvo C30 was a compact car produced from 2006 to 2013. One of its many groundbreaking features was an engine control computer that increased horsepower from 227 to 250 without compromising fuel economy. It was available with either an I4 or I5 engine.